Supplied with tubular latch, hinges, bar and fixings. Backplate length 102 x 47mm. Handle length 88 x 31mm. 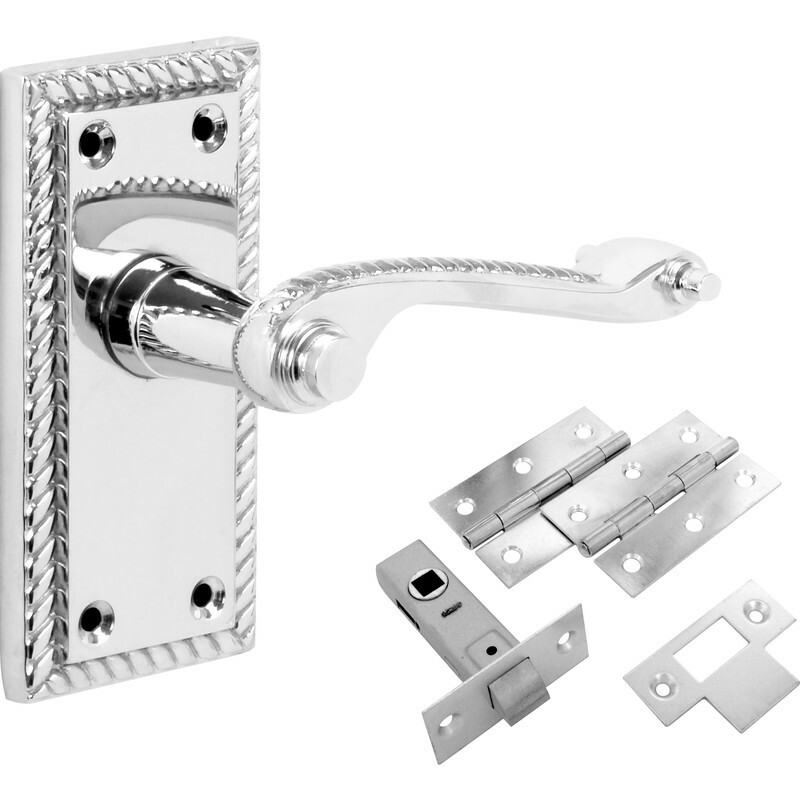 Georgian Scroll Polished Handle Latch Door Pack is rated 4.5 out of 5 by 4. Rated 5 out of 5 by Anonymous from Good quality! I bought 3 of these packs in the clearance sale. Easy to fit and look great on my bedroom doors. Good quality for the price. Rated 5 out of 5 by Lenny from Donny from Quality very good Looked for this item for a long time. It's exactly what I wanted. It's a quality product.